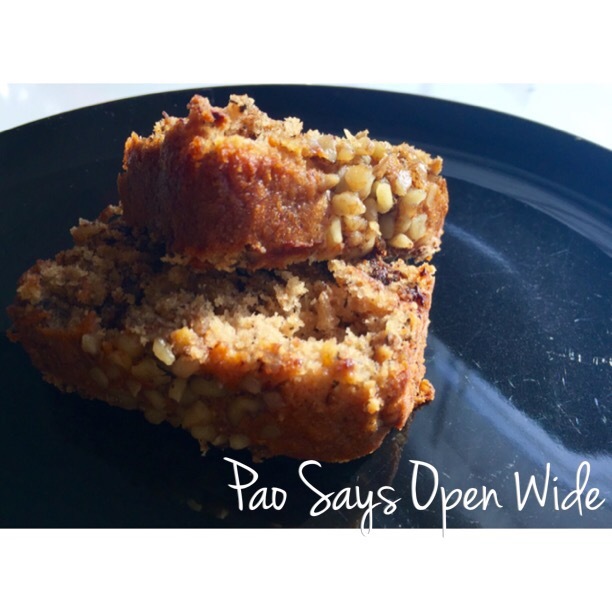 Bananas in Pajamas : Chocolate Chip Walnut Banana Bread – Pao Says, "Open Wide!" The descriptive title not only references a weird (and maybe kinda ok?) 90’s kids show, but also refers to the attire I’m wearing as I scarf down this whole loaf of deliciously moist banana bread. Seriously, its awesome. I got this recipe from allrecipes.com, and I’m obsessed!! Its so, so good. 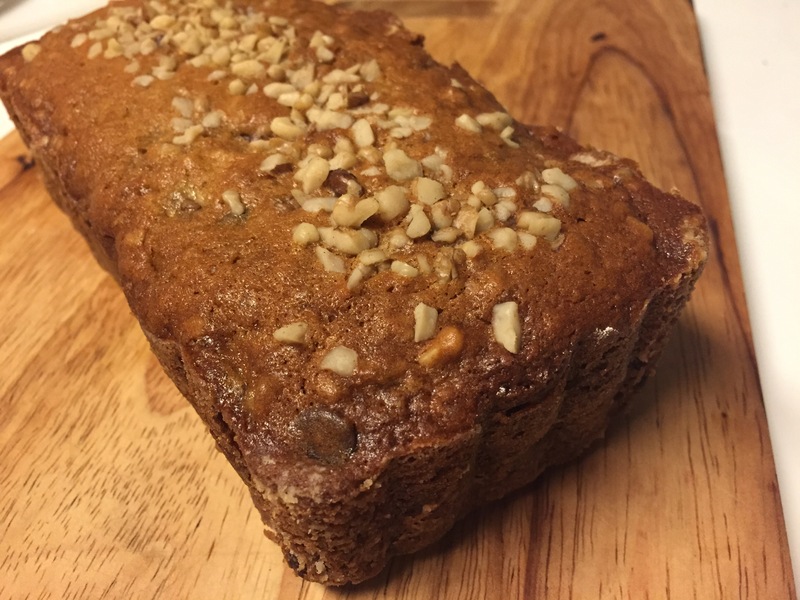 I made a few adjustments: instead of using 1 cup white sugar, I used 1/2 cup white sugar, 1/2 cup brown sugar- to give the bread a little more moisture from that molasses! I also added in chopped walnuts and vanilla. I made the recipe both in muffin/cupcake form as well as a small loaf. The muffins took 25 minutes, while the loaf took about 45 minutes. Just look at the ingredients! Bananas- where else will you get your potassium today?? Eggs- you need that protein! Walnuts- Omega-3s are so great for you! and, of course, WHERE would you get your antioxidants for the day if not for the chocolate in the bread?! SO super healthy! ok, maybe not that healthy, BUT, definitely incredibly delicious. Will be making this a million more times. ** again, I made cupcakes (25 minutes at 325) and 1 mini loaf (45 minutes at 325), and it was great, because I got the loaf to myself, and I was able to share the love, too! Nothing people like more than being surprised with home-baked goods!